Fill almost to the top with water and add colorful beads, we used plastic pony beads. This is one of my favorites. 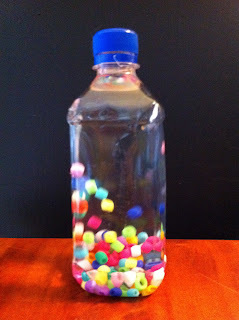 I love the colors and the beads seem so oddly suspended in the water. Shave crayons with a pencil sharpener and add the shavings to a bottle almost filled to the top with water. 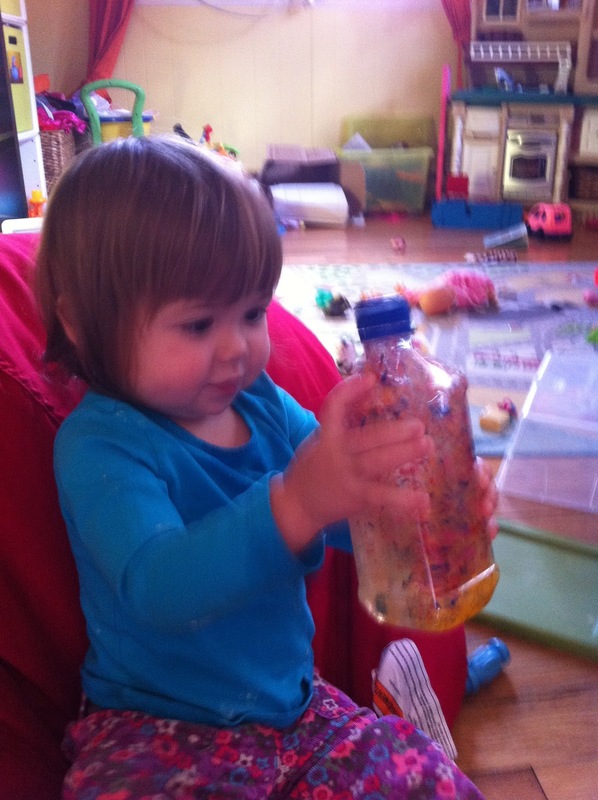 This one is fascinating to me because some of the colored crayons sink and some float. Perhaps the inspiration for a future experiment! 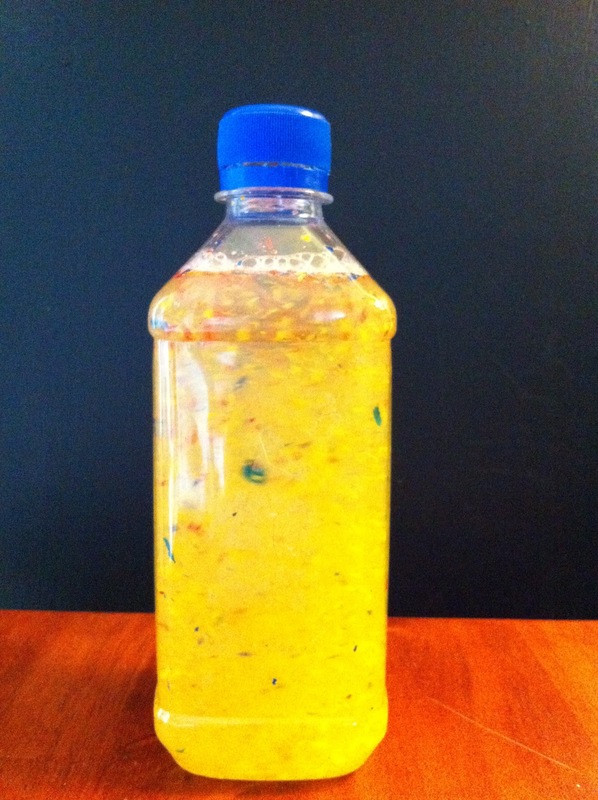 Fill the bottle 1/4 of the way with oil and add 5-10 drops of food coloring. Then fill the bottle 3/4 of the way with water. 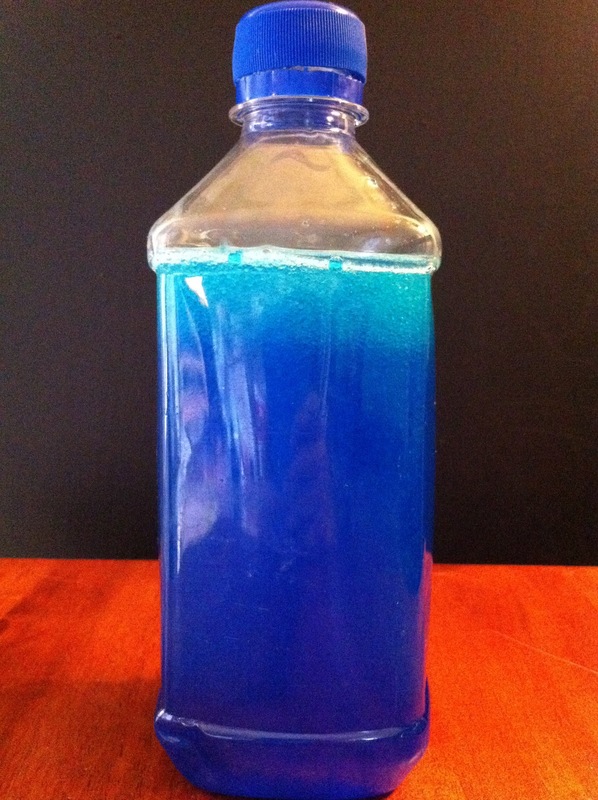 I found this bottle has more of a wave look if you don't fill it all the way to the top. 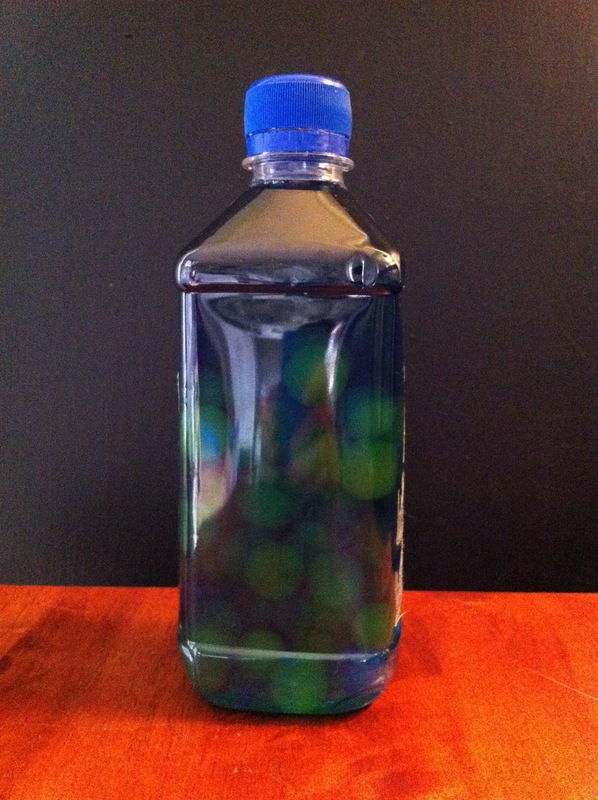 We played with water beads a few months ago but on a recent trip to the dollar store we found the kind that start dry and grow with water. 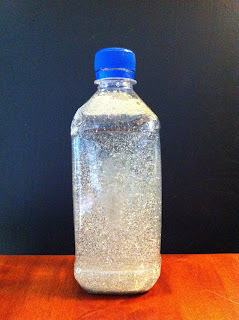 After hydrating the water beads we added some to the bottle filling the rest of the bottle with water. I also added a few drops of food coloring for the contrast. This bottle looks so cool in the sunlight! The water beads look like glowing orbs. 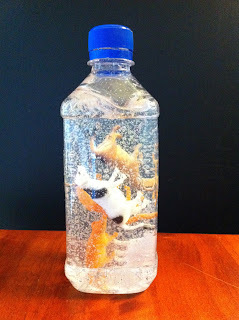 The cow bottle cracks me up! These are so fun...thanks for sharing! Just picked up a bunch of different items at the dollar store so that we can make our own discovery bottles this weekend! 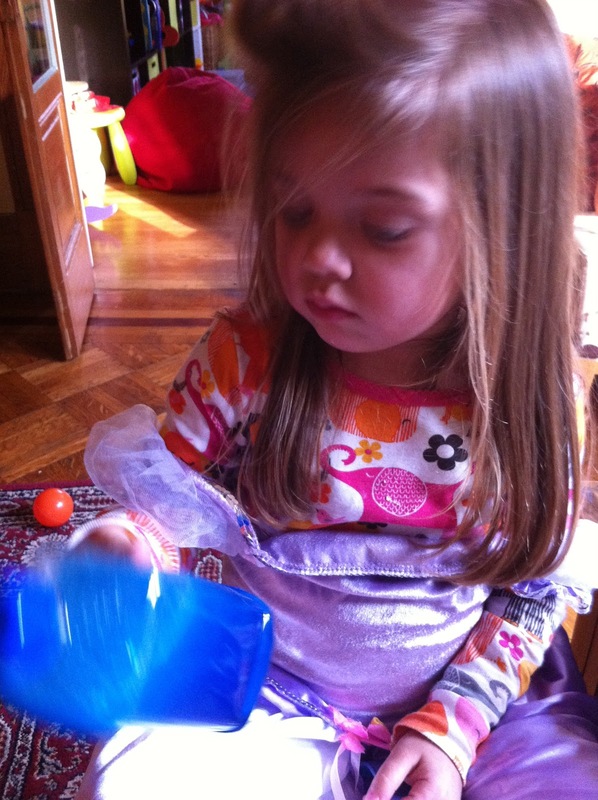 I bought baby oil as well so we can see the differences between the items in oil and water. CANT WAIT!